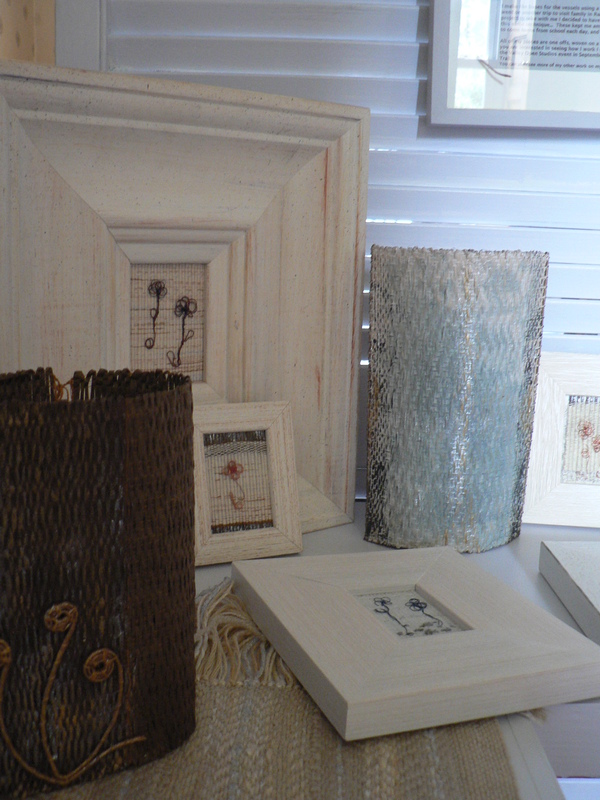 I offer workshops for small groups or on a one-to-one basis at home. For some workshops I am able to come to another location. If you are interested, please contact me: email is often the easiest way to reach me. In the autumn I will be offering ‘Studio Days’again for 1 or 2 people. The looms will be ready to go, and all materials provided. 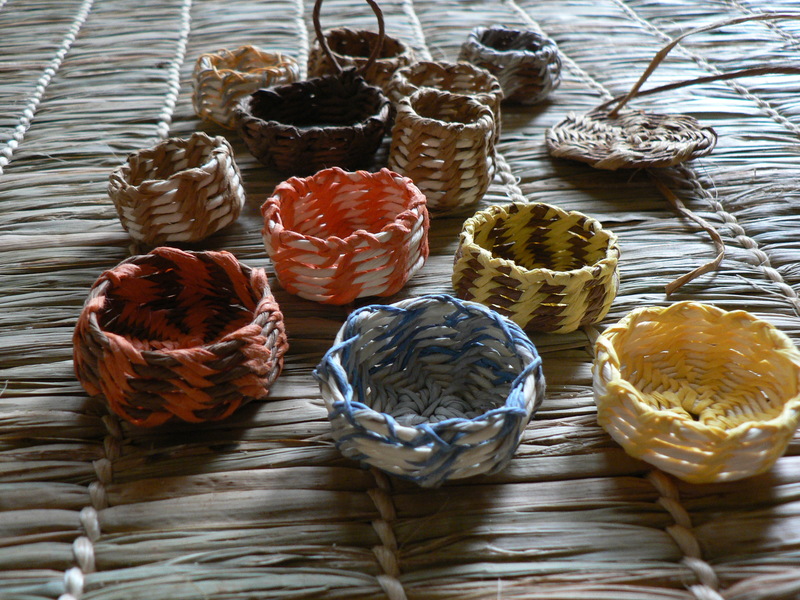 This is basically a session for beginners to try out weaving. or £50 for a full day. If 2 come together for a 1 day workshop it will be £47.50 each. A 2 day workshop would cost £85 per person. 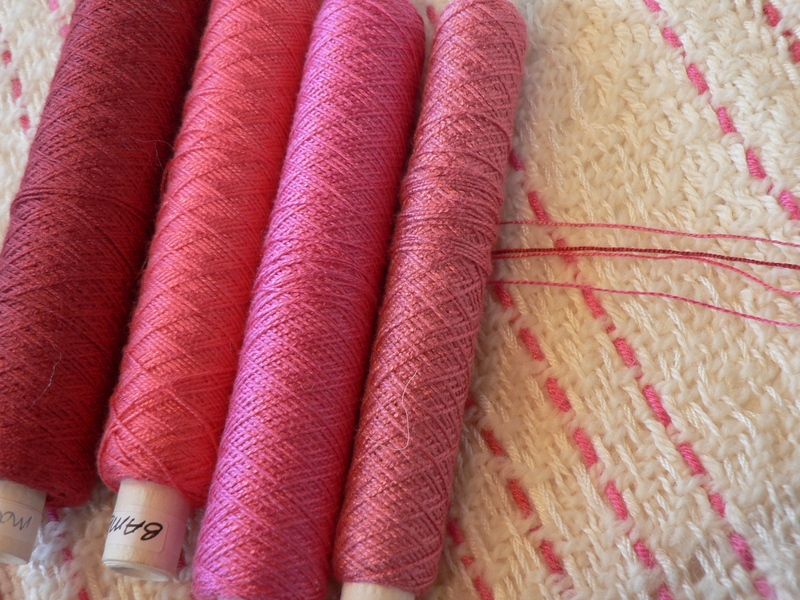 Setting up a ‘knitters loom or a rigid heddle loom’ – demonstration on my own equipment – or bring your own loom and yarns and I can help you set it up. Art / Inspirational /Creative Weaving - this can be on a loom, tapestry frame or other methods. 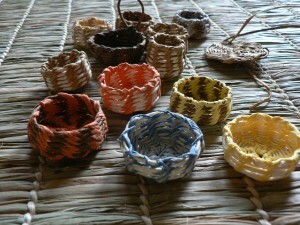 Maybe weaving with unusual or recycled materials. Tapestry weaving for beginners - bring your own frame, or for a small charge I can sell or lend one. This could be run as a course – ie 4 half day sessions to allow you time to work at home. Warping a loom. Bring your table loom, and yarns, and I can help you set it up. Dyeing yarns I can work with synthetic or natural dyes. Equipment is available for use during tuition sessions, although you may prefer to bring your own.